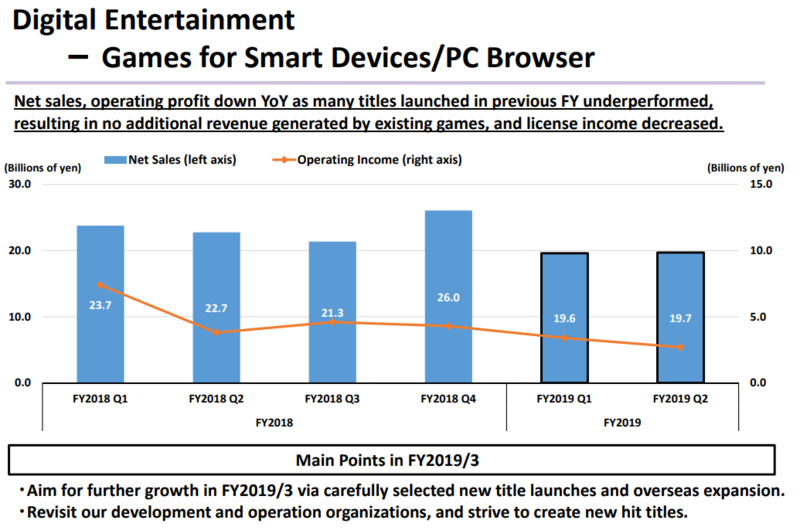 Square Enix reported their quarterly earnings last night and the numbers were largely disappointing with MMO and mobile revenues flat quarter over quarter. MMO revenue for the last 3 months (July-September) came in at 6.4B yen ($56.3M) for the quarter and mobile came in at 19.7B yen ($173.4M). 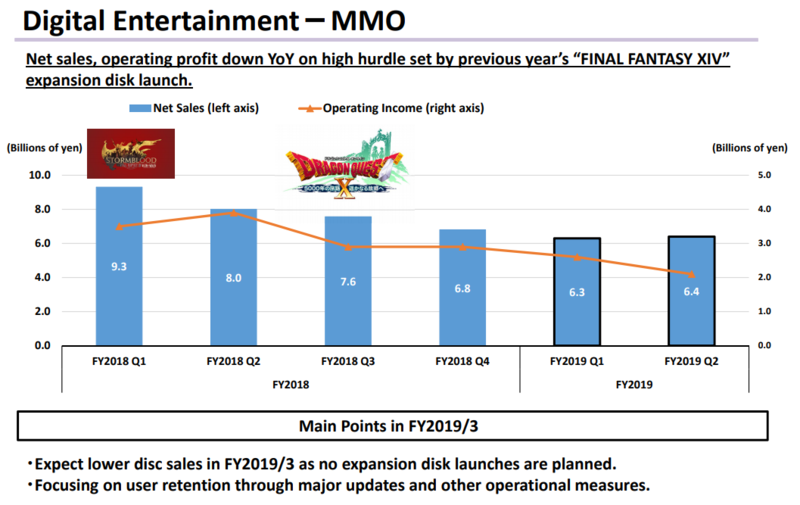 Next quarter's MMO revenues are expected to dip further as the next expansion to Final Fantasy XIV isn't expected to ship until the summer, though we should get an announcement about it at Fan Fest later this month. The only bright spot in Square Enix's earnings this quarter was HD Game sales, which are essentially typical retail sales of console games. This quarter the company reported 24.1B yen in HD game sales thanks to the successful launch of Octopath Traveler this quarter.